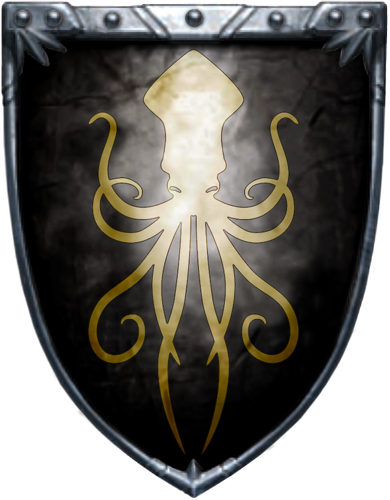 The Greyjoys of Pyke claim descent from the Grey King of the Age of Heroes. Legend says the Grey King ruled not only the western isles but the sea itself, and took a mermaid to wife. For thousands of years, raiders from the Iron Islands—called "ironmen" by those they plundered—were the terrors of the seas, sailing as far as the Port of Ibben and the Summer Isles. They prided themselves on their fierceness in battle and their sacred freedoms. Each island had its own "salt king" and "rock king". The High King of the Isles was chosen from among their number during the kingsmoot. In ancient times The Old Kraken was chosen as the King of the Iron Islands. He was said to be a member of House Greyjoy.